The Watson Family - Nekaro & Co. I don't normally post things of this nature. Or ask my readers for votes, visits, etc. However, the story of the Watson family hit me in the heart. Every time I see an update online or updates on the local news, I cry. It's heart-wrenching. I do not know them. I do not live in their area of Kentucky. They do live close though. And news travels quickly. Thursday, January 30th the news of the house fire spread. Chad and Nikki lived in the home with their 9 children. Some time around 2am, an electric baseboard heater caught fire. 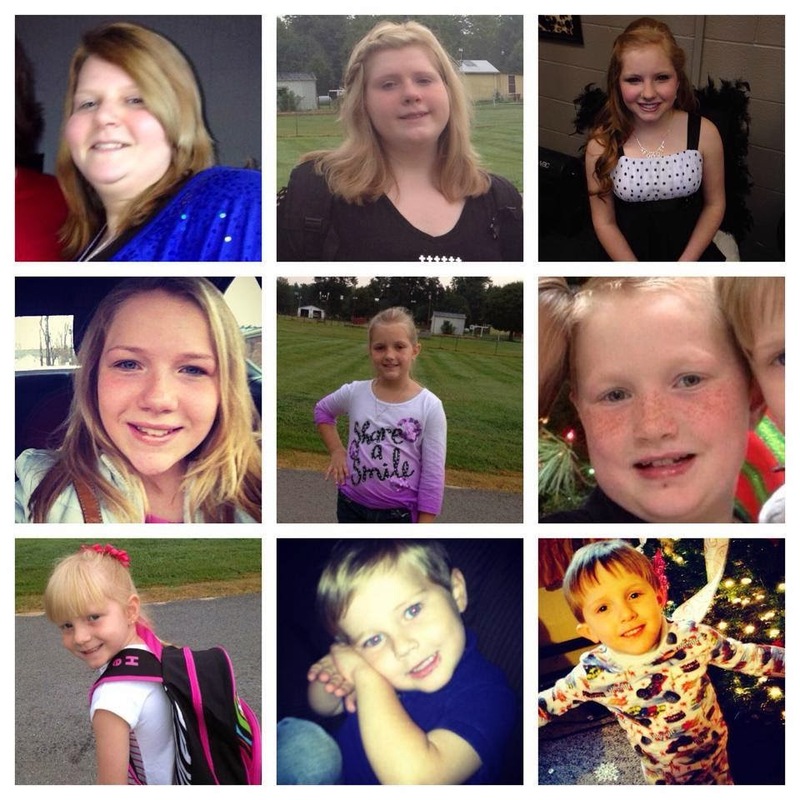 Eight of their nine children, Madison (15), Kaitlyn (14), Morgan (13), Emily (9), Samuel (8), Raegen (6), Mark & Nathaniel (4 year old twins), and mother Nikki (35) perished in the fire. Father Chad and one child, Kylie (11) survived, but are still fighting for their lives at Vanderbilt University Hospital in Nashville. Over the course of the next few hours/days, I discovered that the family attended Calvary Baptist Church in Central City, Kentucky. I DO know the pastor and his wife. They are the most giving, loving, and friendly people. You may have heard that the country band The Band Perry has stepped up. 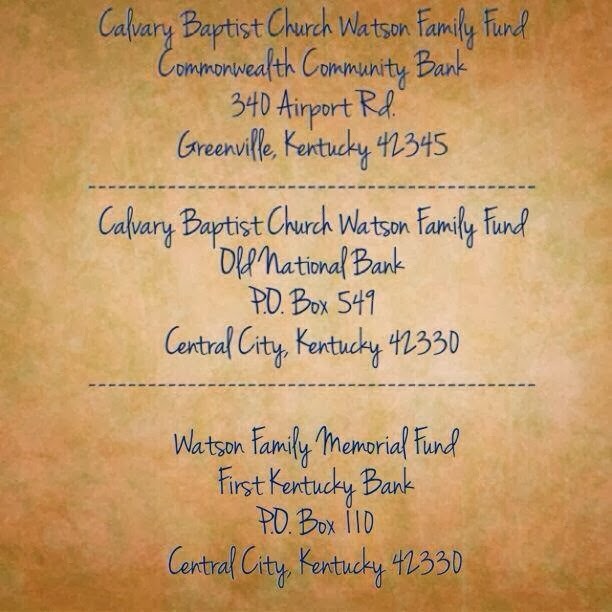 They are going to cover all funeral costs for the Watson family. Pastor Tim Burden has spoken to the co-owner of Jagoe Homes of Owensboro, who have committed to building a new home for Chad and Kylie when they are well enough to leave the hospital. But they still need help and they have a very long road ahead. Not only have they lost their family, they have lost everything. Please help if you can and spread the word to help this family who has already endured so much. That is absolutely heart-breaking. I can't imagine. I hope Chad and Kylie are able to recover.